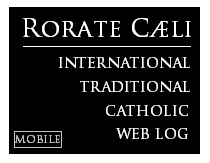 RORATE CÆLI: Pope accepts resignation of Brussels Archbishop - in record time. Will a radical liberal succeed him? Pope accepts resignation of Brussels Archbishop - in record time. Will a radical liberal succeed him? The past and future of Brussels? On June 1, Pope Francis informed André-Joseph Leonard, Archbishop of Mechlin-Brussels and Primate of Belgium, that the latter's resignation has been accepted. The news was reported by InfoCatho and Kerknet, respectively the French-language and Dutch-language official news sites of the Catholic Church in Belgium. The same reports mention that Pope Francis asked Msgr. Leonard to remain in office until his successor is appointed. It is highly unusual that the Belgian Church's own news sites would publicize the news of the resignation's acceptance well before any official announcement on the Vatican Bollettino. It points to a short wait (and eagerness) for a successor. It is also expected that the Belgian delegation to the Synod of 2015 will be headed by the new Primate. Msgr. Leonard turned 75 on May 6 of this year. 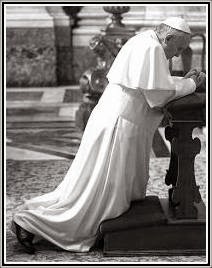 Having been appointed by Benedict XVI on January 18, 2010 and installed on February 27 of that same year, he has been Archbishop for only a little more than 5 years. His short reign has been regarded as a brief interlude or breathing space for orthodoxy in what was once one of Europe's greatest Sees, after the long reigns of two liberals: Leon-Jozef Cardinal Suenens (1961 - 1979) and Godfried Cardinal Danneels (1979 - 2010). It is puzzling, not least because of his short reign, that Archbishop Leonard has not been given the customary extension of at least a year or two that has increasingly become common in the last two decades for holders of traditionally red-hat sees, unless severely ill. (There are no indications that the Archbishop is in poor health.) In effect, Archbishop Leonard's resignation was accepted in record time for an Archbishop of Brussels. In contrast, Cardinal Danneels was seventy-six-and-a-half years old before his resignation took effect in early 2010. Cardinal Suenens stepped down in 1979 at 75 years and three months, but that was at a time when the 75-year retirement age was observed more uniformly in the Catholic Church in the free world. All other Archbishops of Mechlin (Mechelen) since Belgium became an independent country (1830) died in office. It is equally unfortunate that Msgr. Leonard is stepping down without having been made a Cardinal -- the last Archbishop of Mechelen-Brussels not to have been made a Cardinal while in office was François Antoine Marie Constantin de Méan et de Beaurieux, Archbishop from 1817 to 1831. This non-promotion only underlines how Leonard spent his reign largely in the shadow of Danneels, who continued to affect policy and events in the Belgian Church after 2010 and whose influence gained back in strength after the election of Pope Francis in March 2013. Since Belgium gained its independence (1830), the Archbishopric of Mechelen-Brussels has alternated between Francophone and Flemish holders. This has placed the spotlight on Belgium's four Flemish Ordinaries: Bishops Jozef De Kesel of Brugge / Bruges (68 years old this June), Lucas Van Looy SDB of Ghent (74 years old in September), Patrick Hoogmartens of Hasselt (63 years old), and the man now said to be the front-runner for the Primatial See of Belgium: Johan Jozef Bonny of Antwerp (60 years old in July). Van Looy is too old, so this narrows down the "choice" to three: De Kesel, Hoogmartens and Bonny. Unfortunately, all three are unambiguously liberal. All three have publicly come out in favor of abolishing mandatory celibacy for priests of the Latin Rite, De Kesel is known to be open to women's ordination, and Bonny, most infamously, advocates that the Church bless "gay relationships" and "gay couples" among other radical reforms that he would like to see. The custom that a Francophone Primate of Belgium should be succeeded by a Flemish Primate is not a law of the Church, and Rome is certainly not bound by it. It seems unfair for another Flemish prelate to succeed Leonard since the latter has governed for only 5 years, while his Flemish predecessor (Danneels) ruled for 30. 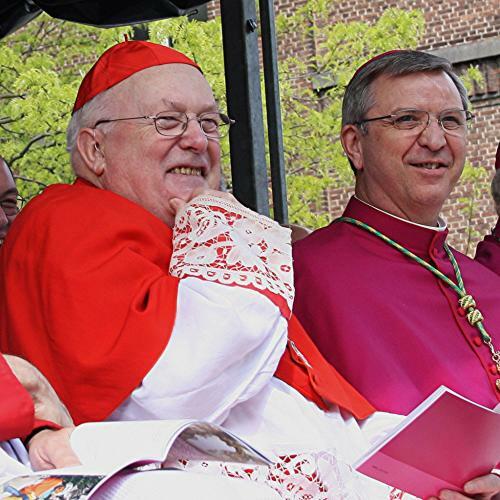 Danneels' Francophone predecessor Cardinal Suenens reigned for 18 years and Suenens' Flemish predecessor, Cardinal van Roey, enjoyed an epic 35-year reign. Should Francis decide to appoint another Francophone, he has three Ordinaries to choose from: Bishops Jean-Pierre Delville of Liege (64 years old), Rémy Victor Vancottem of Namur (72 years old in July) and Guy Harpigny of Tournai (67 years old). Reversing the pre-Conciliar situation, the Walloon or French-speaking part of Belgium is in better health, ecclesiastically, compared to Flanders; before he was moved to Brussels, Andre Leonard had nearly half of Belgium's seminarians in the Diocese of Namur alone. Given Bishop Vancottem's age, the likely Francophone candidates are Bishops Delville and Harpigny; both are on friendly terms with the Traditional Catholic movement and have celebrated Solemn Pontifical Mass according to the 1962 Missal. Some of our readers might ask: "Why bother? The Church in Belgium is almost dead, who cares who its next Primate will be?" The reality is that the Church in Belgium, just like the rest of the Catholic Church in Western Europe, continues to exercise outsized influence on the Church universal. Continental Western Europe despite its terminal decline remains the intellectual and cultural center of Catholicism as a whole, not least because of its disproportionate (albeit aged) number of prelates, religious and priests, its continuing dominance in Catholic theology, its wealth (and willingness to use that wealth to fund its ecclesiastical agenda), and inescapable geographical location of the city of Rome.